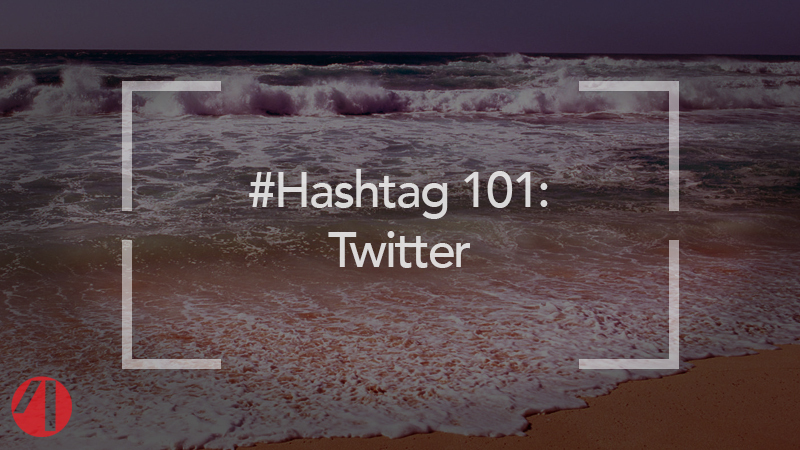 Hashtags are basically keywords. They are a way of organizing information and making your social media posts searchable by others looking for content like whatever you posted. Note: People often use hashtags in a more humorous or otherwise expressionistic manner, tagging a tweet with a hashtag no one is else is likely using or will search (eg a Tweet: “Where did all the cookies go? #IAteThemAllBwahahahahahahahah”). As I’ve said before, do you, and let your creative flag fly, and etc, but that kind of hashtag use is not the focus of this post. On twitter, they are generally used to organize conversations or livetweet events. If you are watching a presidential debate, there is probably an official or quasi-official hashtag people are using to share thoughts or live tweet their viewing experience, so others watching the same thing can see what others are saying. The same goes for all sorts of other events, or “trending topics,” or lesser-covered news stories people are trying to signal boost, or political/informational campaigns, or pretty much anything you can imagine that people might want to talk about with strangers on twitter. You can search a hashtag and see a constantly updated feed of everything people are posting on it. With various third party apps like tweetdeck, you can save a hashtag search and dedicate a column to keeping you up to date on what people are saying about about #feelthebern or #dumptrump or #xmen or #WHATEVER. There are many ways to use hashtags to promote your projects. One is to jump in on relevant, existing hashtag conversations–just make sure you read the word “relevant” in that sentence and take it in. Don’t SPAM! Not on hashtags, not anywhere. People don’t like it. Be respectful, be appropriate,and make sure you’re interjecting something of value. Check out what’s “trending” for ideas. You may also want to create and try to popularize your own hashtag in order to increase awareness of your brand, project, issue, initiative, etc, or to help facilitate an online event. #FridayNightHorror, for example, is an ongoing event wherein horror fans watch a (usually easily streamable) film at the same time and talk about it on twitter, finding each other via the hashtag. Same could go for a campaign, or concert, or whatever you want to do that involves organizing people online. One thing you DON’T want to do on twitter is overuse hashtags. It eats up your limited character allowance, it’s tacky, and it’s ineffective. You probably don’t want to use more than one (or AT MOST two) hashtags on a given post, so choose ones that will connect you to the right audience. Use ACTIVE hashtags that other people are actually using in an interactive way. Not sure if a particular one fits the bill? Search it! And, as always, play around, experiment, keep track of what works and keep doing that. Find your own hashtag path and make the tool work for you. Have more questions about how to hashtag, or want someone to deal with them for you? Hit us up here at 4MC. Whether you want advice to better DIY or would prefer to just leave it to the pros, we’ve got you covered. Thank you. Something I’ve wanted to know but was embarrassed to ask. Glad we could help answer some of your questions! Pingback: 4MileCircus - Is Your Twitter Profile Optimized?